I wrote a piece on Climate change earlier. That piece reflected on the international diplomacy about how climate deterioration has been reduced to the promises of paper work, further discouraging initiation to act on moral roads. We, as humans have clearly emerged from the morality of satisfying our own needs. Within that satisfaction, we have magnified our ‘importance’ so much, thus amplifying anthropocentrism in the first place. In my earlier piece, I described anthropocentrism as humans ‘pre-occupying’ everything they see in the nature. If nature has always kept quiet herself from this anthropocentrism, isn’t it our moral deed to care for her? My motivation isn’t lying behind the justness and conscience. Today, global order has led to the creation of ‘commodification’ of everything we see around ourselves. What is this? Clearly neoliberalism has to answer. It’s not hard to believe that we see people are revolving around time structure of satisfaction in lifestyle. Today, corporate world has expanded its ‘corporatization’ so much that what we see is only ‘short term’ means, let go of long term ends. Corporatization has packaged us all to behave in a certain way, and to act in a certain way. This has led to rigid competition amongst firms, and in economics we say it little harshly. We call it ‘cut-throat competition’. Corporatization has set us with objectives, objectives of reaping profits from nature in the form of good balance sheet structure, and positive incentives. Today, every industry is leaking its smoke in the open air and thinking of getting the biggest bang from the ‘inputs’. What are these inputs? Some observations say Heavy metals, smelting, tough labour hours and stringent company mottos. This neo-liberal corporatization has created this innovation of invisible drawing rights. This invisible drawing right has been contracted one sided with the environment. Environment has been kept quiet, and the neo-liberal corporate world has taken the sword to deal with everything. Mexican peso crisis was a backdrop of Neo-liberal sanctions of opening up its economy a little more, privatising the public sectors much more. It was only a few later that we found the famous ‘tequila crisis of 1994’. What was happening? Huge industrial set up and expansion of Mexican economy in the form of export potential industries, and this global hope of ‘establishing a flat world’. Today, every emerging economy, as well as about to emerge economies are competing in rampage mode. Everything industrial is not the answer. It was the European industrial model that motivated us all to trust in a sector which can be supported by agrarian sector, the manufacturing sector. Industrial revolution of 1800s in Europe has led us to some illusion of believing that it is a universal model. No it was not. We are talking about 1800s, where environment had the capacity to ‘absorb’ the misconducts of anthropocentrism, pollution the most common element present there. But reducing this climate change debate to pollution indices of countries will be a futile hope of engaging in a ‘visible contract’ with the environment. It was Margaret Thatcher that took the difficult road to establish propaganda, of Montreal Protocol to limit the use of CFCs which evidently became responsible for ozone layer depletion in Antarctica. If environmental matters are a great concern to you, you will also want to know how this global environmental concern emerged over. This ozone layer depletion issue was discovered in a lab test. We all have been cynic about environmental matters; Mario Molina discovered huge problems which were directly pointing out to our anthropocentric activity. U.S did a survey test to find out that it was actually true. Neoliberal policies with respect to environment have been geographically depressing, and as David Harvey puts it; temporally unstable (Harvey. 2005). Neoliberalism says that robust capitalism and environmental sustainability can go parallel. It is a false statement of the highest order. Tropical forests are degrading in a manner that we are not able to imagine when it will devoid us of our nature. This is also true in case of mass extinction of species. Neoliberal chanting says to consume now, before the time gets late. Our consumption from nature has risen exponentially high, and our utmost desire to have material things in life has taken another level of place in all our lives. It’s not ethical to blame only two powerhouses of global economy in terms of consumption, namely U.S. and China. We are seeing buildings in every density square of kilometre; however planting trees have been our backdoor policy. Neoliberal policies motivate us to think fast, and grow fast. Growing fast requires something at cost, because neoliberal policies have this inner curiosity to ‘infrastructurise’ everything. Today, even agrarian land reforms are a product of market structure. Land owners are paid a land re-sale value, not the intrinsic value it possesses in terms of productivity. This ‘commodification’ of everything cannot be blamed to the ‘northern’ and ‘developed’ countries alone, even ‘southern’ and ‘emerging’ countries are also trying to reach the ‘golden’ state of capital expansion’. Exploitation of natural resources has caused depletion of ‘natural capital’, and has given a life to ‘commodity capital’. Neoliberal chanting prefers ‘short term’ contracts, where producers have the hunger to extract everything in the limited time period. Their motivation behind this strategy is the invisible contract they sign with the environment. This contract discounts the future sustainability in present times, thus bringing in the ‘time value of money’ to the nearest realisations. 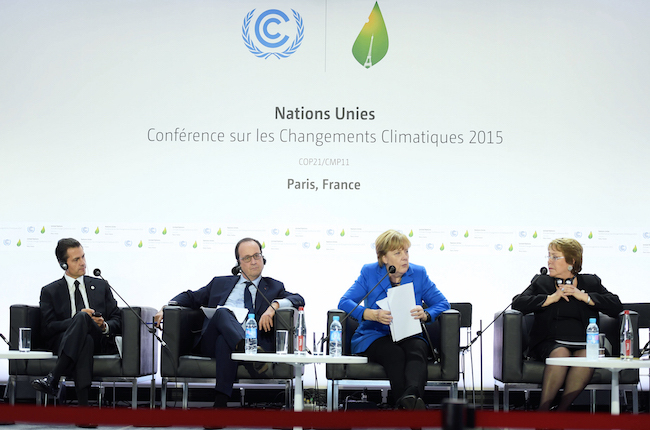 An insistence of privatization has further led to distract away from environmental concern. Developing economies are told to exploit their natural resources to find hidden treasures, which they can export in the global world, clearly satisfying the developed world, as the world trade revolves around the hobbies of developed countries. 1997-98 led to the fiscal crisis in Indonesia, displacing millions of people out of the job market. People responded with utter agony, burning forests. That did not end there only, there was huge smoke trans-pollution is South East Asia. We are in a period of time where we need to move backwards, towards conserving environment like our ancestors did. This is not a matter of joke, because time will only tell us that printing these volumes and volumes of currencies will not satisfy our food hunger. Money cannot be eaten. Where will we find the trees if we sign asymmetric information contract with the environment to destroy them for our satisfaction? This was also not the expectation of Immanuel Kant, who fed the world with the idea of freedom and morality, where we should act according to our morality, but not become an outlaw to the nature. David Harvey. “A brief History of Neo-Liberalism”. “Climate change: Mario Molina puts ozone on the political agenda”, Royal society of Chemistry (accessed 15 July 2017). Maya Kanodia, “Golden rule of capital accumulation” (accessed 15 July 2017). “Indonesia dismisses study showing forest fire haze killed more than 100,000 people”, The Guardian (accessed 15 July 2017). This is a theory by Immanuel Kant, An 18th century German philosopher. This theory has been termed as “Categorical Imperative”, which says that the validity of a person’s choice does not depend on external motive. In this case, the external motive is to tear down forests and establish buildings and factories, which ultimately leads to satisfying our own needs, not for longer term as we do not intend to do something that will not be helpful for the environment. The Young Turks on what happened to Doctors Without Borders in Kunduz: The rules are gone! 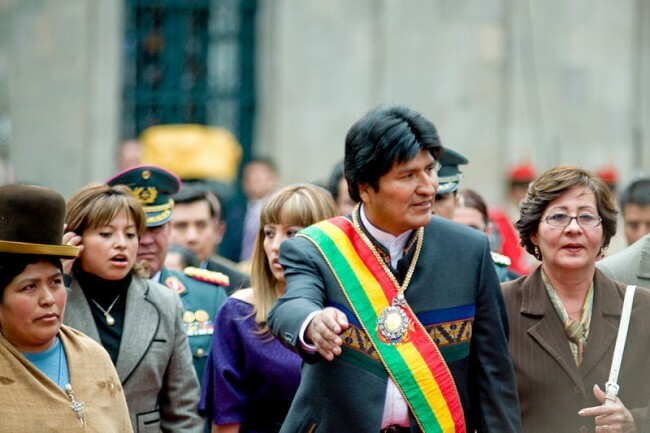 Bolivian president applauds China, Russia ties, laments rift with U.S.